At the end of 2025 most rights of way that existed before 1949, but which are not on the official East Sussex County Council Rights of Way map, will be abolished. Using historical documents, a small group has been trying to find lost rights of way locally and add them to the map. Chris Smith will share what he and his researchers have discovered so far, and encourage you to become a path detective yourself. Some of their discoveries are quite alarming – the ‘definitive’ rights of way map is not at all as definitive as one might hope. In every town and village so far investigated there are footpaths and twittens in everyday use that are not included.You will hear about the crack on the head that lost Kingston a footpath; the Firle parish council members who hated roads; the mysterious bridleway on Malling Down; the bridge-breaking Gwynnes of Folkington; and other stories that rarely makes it into the history books. Chris will also cover the history of highways and how rights of way came into being. At the AGM, held on Dec. 10, 2018, the membership was asked to approve two items. Appointment of officers: Ron Gordon was nominated as the Treasurer, and Krystyna Weinstein as Secretary to the Executive Committee. The proposer was Marian Smith and the seconder was Sue Berry. Both officers were re-elected. As there was no nominee for Chair the duties of the post will for the time being be shared between other committee members. Change to the membership fee, to £6.00 per member (£3.00 for members joining in the second half of the year). The proposer was Jane Lee and the seconder was Ron Gordon. The membership approved the change, to take place from January 2019. Ian McClelland was applauded from the floor for his years of service as the inaugural Lewes History Group Chair. Anna Kane, who works in St Anne’s House (on the left hand side as you head up the hill towards St Anne’s church), raised a query on the Lewes Past Facebook page in November 2018 about the history of the house. There were comparatively few responses, though several people remembered it as the house where judges were accommodated when they came to Lewes, including Steve Carrigan, whose parents ran the house for them. He added that after that use ceased, this house and another one were sold by auction in 1976 for £50,000. As is often the case, the most informative responses were from Lewes Past moderator Mick Symes, whose information included that it had been the home of the Victorian corn merchant and brewer Edward Monk; that after it was declared redundant it had been purchased by Councillor Elisabeth Howard, who sold the house and its associated cottages separately; and that Mick himself had installed a sauna there when its use changed from residential to a health and beauty school. Today it is the base for a number of communications and financial services businesses. St Anne’s House and its railings are listed as grade II* by Historic England. The listing identifies the house as early-18th century, noting the date 1719 on a surviving rainwater head. It is described as a six bay brick house with slightly irregular bays. The left hand bay has been rebuilt in a different brick and without a ground floor window. There is a plinth, with cornice bands over the ground and first floors and a coped panelled parapet that is plain over the rebuilt bay. It has a plain tiled hipped roof, with tall brick chimney stacks in the end walls. There are two storeys, plus attics with dormers. The porch has detached ionic columns. The full listing goes into considerable interior detail, noting the early 18th century staircase and panelling. The first port of call for anyone who wishes to know more is Colin Brent’s Lewes House Histories file, deposited with The Keep. This provides detailed lists of owners and occupiers back into the reign of Queen Elizabeth I, when the house had a large plot reaching back to the road to Southover – Rotten Row. The histories are those of the sites rather than the buildings on them, but in this case the house went through a number of rapid changes of ownership in the early 18th century until in 1719 it was sold by the Earl of Abergavenny (who had owned it for only about a year) to John Apsley for the modest sum of £315. As the initials JA accompany the rainwater head date of 1719, he may very well have rebuilt the house after this purchase. If there are any significant survivals of an earlier house, they are most likely to be found in the roof. There was a high status house here in the 17th century, when the owners and occupiers included a goldsmith and a number of gentry and clergy. John Apsley was a native of Ticehurst, but descended from a prominent West Sussex family. He was a younger son, but his brother died without heirs so he inherited substantial estates. He was appointed a magistrate, and in 1742 a trustee for the new Lewes pesthouse. He owned and occupied this house himself for over 50 years, adding to the property, until his death at the age of 83 in 1770. His death and elaborate funeral were reported in the 29 January & 5 February 1770 Sussex Weekly Advertiser. John Apsley bequeathed his house to his only child, his married daughter Cordelia Dalrymple, who lived elsewhere. She retained ownership until her own death, but in 1803 it was sold for £2,300 by her only son John Apsley Dalrymple shortly after he inherited it. The difference in value between the 1719 and 1803 prices must reflect the upgrading of the status of the property. The 1803 purchaser was Josias Smith, an attorney who had already lived in the house as the Dalrymples’ tenant for over 30 years. He continued to live at St Anne’s House until his death at the age of 90 in 1827. He is first recorded as a Lewes attorney as a young man a decade before he moved to this house, and records in The Keep show him engaged in all the expected activities of a country attorney. He managed the affairs of his own family, and those of the Bridgers of Coombe. He acted as steward for the manors of the Earl of Chichester. He was a commissioner for affidavits and treasurer to the proprietors of the River Ouse Navigation. He was a trustee of the Lewes Grammar School and in 1789 appointed to the committee to find a suitable location for a new town market. He also specialised in ecclesiastical law and was first deputy-registrar and then registrar to the archdeaconry of Lewes, a role he continued into his late eighties. After purchasing St Anne’s House Josias Smith also accumulated a number of other properties nearby that were leased to tenants. He lent money to the Lewes market commissioners, and to the parish of St Anne to enable them to purchase the Spital. In 1821 he was one of the commissioners for widening the road from Lewes to Brighton. He subscribed to Paul Dunvan’s ‘History of Lewes and Brighthelmston’ and, in his old age, to Thomas Walker Horsfield’s ‘History and Antiquities of Lewes’ and Gideon Mantell’s publications on the fossils of the South Downs. Surprisingly, given his profession, Josias Smith died intestate, leaving a vast estate, estimated at £80,000. It was remarked on in the local newspapers that his servants were thus entitled to nothing. He had one sister and his male heir was his great-nephew William Smith of Uckfield. William Smith moved to Lewes after his inheritance, but lived at St Anne’s House for only a few years before selling it. The purchaser in 1831 was a wealthy gentleman called Robert Gear, who came from London, but seems to have been already resident at St Anne’s House when he purchased it. He moved to Lewes to take up residence here with his second wife and their two daughters. He also maintained a leasehold house in London in Oxford Square, and had an extensive portfolio of property in Kent, Brighton and Hastings. His first wife, by whom he had at least one other daughter, was a relative of the Spanish wife of the French Emperor Napoleon III. He seems to have joined the local bench as soon as he arrived in Lewes, and is noted as a active magistrate, appointed at Quarter Sessions as Visitor to both the Lewes House of Correction and the lunatic asylum at Ringmer. 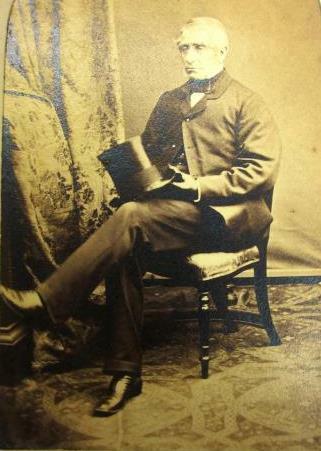 In 1835 he was a member of the provisional committee of the proposed South Eastern Railway Company established to promote railways between London-Brighton, with branches to Lewes and Newhaven, and in Kent – this promotion failed in its objectives, and is not the organisation that successfully brought railways to our area a few years later. Robert Gear’s two daughters by his second wife, Sarah and Mary Georgiana, were born in Lambeth in 1819 and 1820. Sarah died in 1841, aged 21, and has a memorial in St Anne’s church. When her younger sister Mary Georgiana married a Captain in the Royal Horse Artillery in 1846 St Anne’s House was amongst the property settled on her. Robert Gear died in 1858 and his second wife in 1867, but they do not seem to appear in the Lewes record after the 1846 settlement. St Anne’s House was then let to a tenant. The house and the family’s other Lewes property remained in the possession of the trustees to the 1846 family settlement until at least 1890. 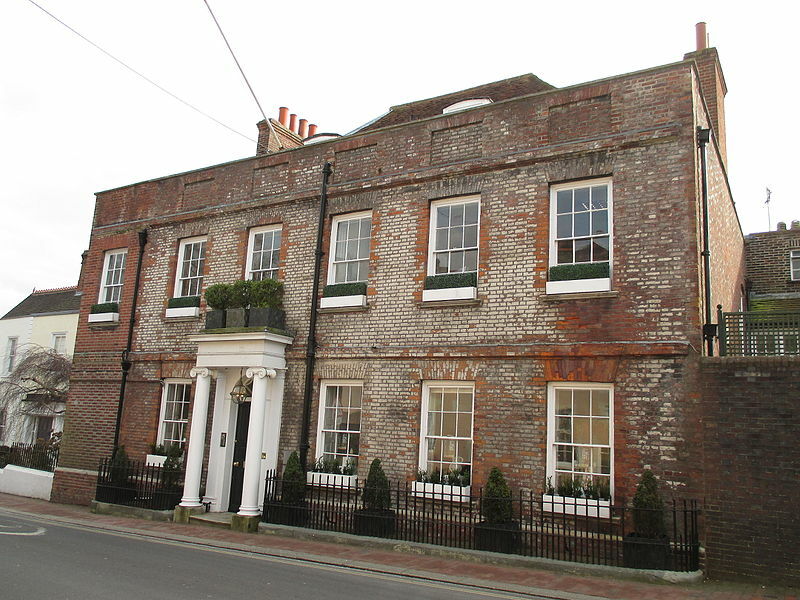 By 1851 the occupier of St Anne’s House was Edward Monk, a corn merchant aged 51 who had been born in Midhurst. In March 1828 he married Ann Wood, daughter of the brewer Thomas Wood, at All Saints church, and on Thomas Wood’s death inherited a third share in the chain of public houses and beer houses belonging to the Bear Brewery The property was shared with his brothers-in-law George and Alfred Wood, who managed the brewery.. Edward Monk was noted as a Lewes grocer as early as 1826. He lived at Park Gate, Ringmer, in 1837-8 and in Lewes St Michael in 1841. In 1840 he was described as a seed merchant and owned warehouses and a wharf in the Cliffe. He was a promoter of the local railways and of the Lewes races in the 1840s and 1850s, entering his own horses on occasion. In 1857 he was very actively promoting imported Peruvian guano (accumulated seabird and bat droppings) as an agricultural fertiliser. In 1858 Edward Monk took over the Bear Brewery, Cliffe, and its chain of licensed premises from his two brothers-in-law – he had provided them with a £20,000 mortgage two years previously. In 1871 he was described as a merchant and brewer, employing 20 men, and in an 1872 address to the Bundle of Sticks Society noted that he had been engaged in mercantile pursuits in Lewes for nearly 50 years. Through the instrumentality of Liberal principles progress had been great and rapid. In 1881 he was living here with his elder son and daughter-in-law, still described at the age of 81 as a merchant and brewer employing 16 men. There were detailed reports of his 1888 death in the Sussex Advertiser, Sussex Express and East Sussex News. He was an esteemed schoolfellow at Midhurst Grammar School of the anti-corn law campaigner ad free trader Richard Cobden. He was also a staunch Liberal, a railway promoter and a supporter of the Southdown Hunt and the Brookside Harriers. I will leave to others the later history of St Anne’s House, including its purchase in 1951 by East Sussex County Council to provide lodgings for the judges sitting at Lewes. Its occupiers will be listed in the very regularly issued Lewes directories, and are likely to have been prominent enough members of the town community to have left numerous traces in other records. Sources: Lewes Past Facebook pages; Colin Brent, ‘Lewes House Histories’, online at Sussex Archaeological Society; The Keep online catalogue; ESRO AMS 6199/13; Familysearch website; British Newspaper archive. 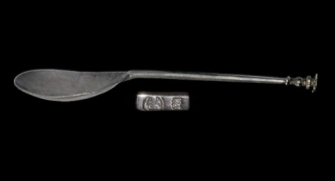 This picture of a Charles I seal-top silver spoon created c.1630 by William Dobson of Lewes, was included in the November 2018 catalogue of Invaluable Auctions and posted on the Lewes Past Facebook page by Michael Nichols-marcy. The bowl and stem were stamped with fleur-de-lys marks within a beaded border. It carried William Dobson’s ‘WD’ maker’s mark, and also the initials ‘LH’ on the stem. It had been acquired in Suffolk. The 22 June 1761 Sussex Advertiser reported that in the following month the King’s Plate of One Hundred Pounds was to be run for at the races on Lewes Downs. The race was open to any horse, mare or gelding that was more than six years old. Runners had to carry the weight of 12 stone. For the purpose of comparison, at that date you would have got change from £100 if you had purchased a pair of Lewes cottages. A high value did not guarantee good sport. Thomas Turner of East Hoathly had noted in his 15 August 1755 and 20 August 1756 diary entries that only a single horse had been entered to compete for the King’s Plate at Lewes in those years. In 1757 (when he borrowed a horse so that he and his sister could attend) there were two competing entries but one withdrew after the first heat. In 1760 he noted that there was again a single entry. Thomas Turner does not record the outcome in 1761, as he was distracted by the recent loss of his wife. In 1762 and 1764 there were again just two entries, while in 1763 the entry was as many as three. 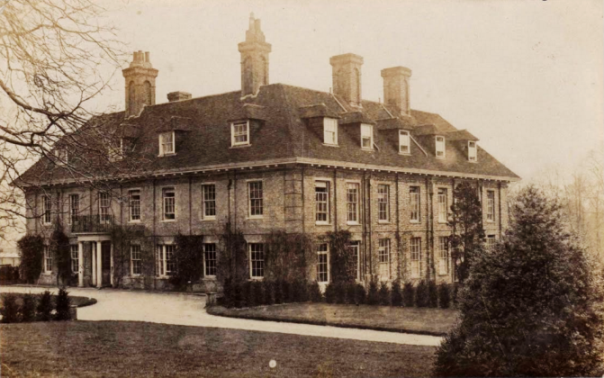 This postcard of Malling Deanery was advertised on ebay recently as showing “a large country house”. The card, by an anonymous publisher, had been mailed from Lewes in 1914. Barbara Merchant notes that the view features the new West Wing of the Deanery, which was built by Andrew Duncan Macneill in 1906-7. In 1912 Macneill sold the Deanery to Alan Richardson, who held it until 1919, when it was sold to T.S. Manning of the Southdown and East Grinstead Brewery. 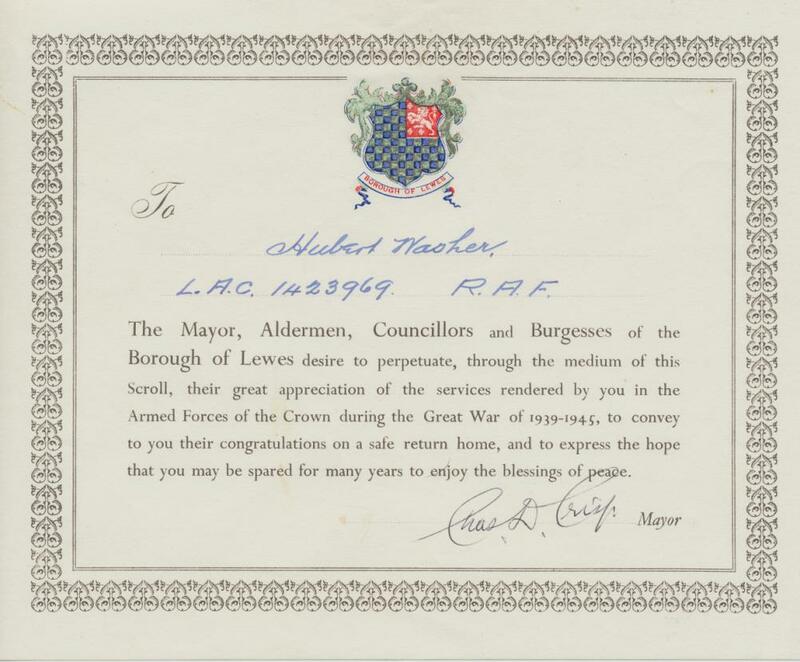 The certificate below, signed by Alderman Charles Doland Crisp, recognised the contribution made by a Lewes man who served his country in World War II. Alderman Crisp, who himself held the rank of Lieutenant-Colonel, was chosen Mayor of Lewes from 1923-1935, 1938-1944 and again for a final year in 1949. There must at one time have been a good many similar certificates. My grandfather Hubert Washer (1903-1968) was born in Ringmer but moved to Lewes as a young married man. He lived at 45 Valence Road, and worked as a carpenter, builder and decorator. 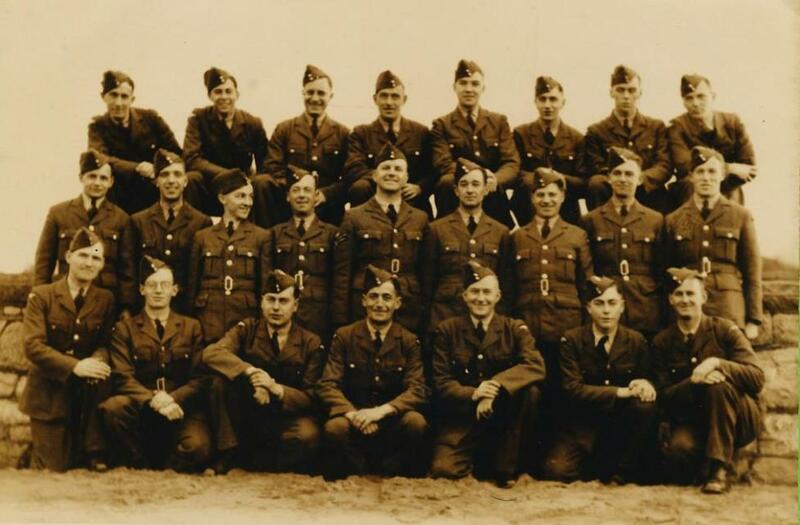 Although well into his thirties and married with a young daughter, he joined the RAF in World War II. He attained the rank of Leading Aircraftman, a role in which his carpentry skills were invaluable. He was engaged in the successful invasion of Europe in 1944-5 and in the subsequent Allied occupation of Germany until he was demobbed in November 1945. He arrived home ill, and had to spend his first few months back in Britain in the Brighton Borough Sanatorium. He is shown in the centre of the front row in the photograph below. This entry was posted in Art & Architectural History, Cultural History, Economic History, Family History, Lewes, Local History, Military History, Urban Studies. Bookmark the permalink.